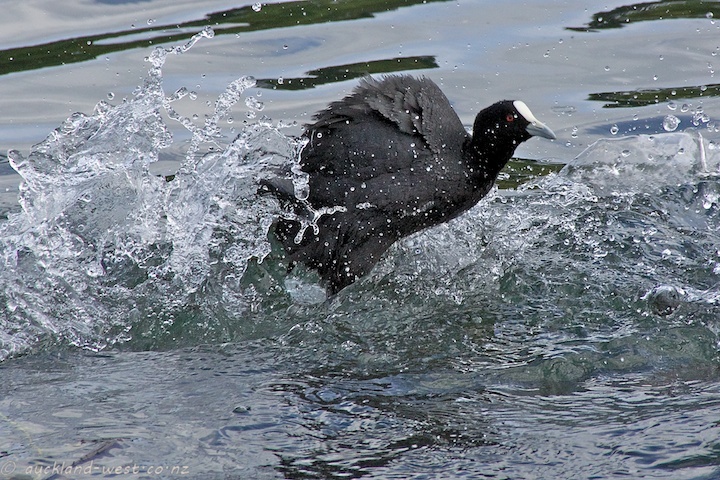 The Australian Coot (or Eurasian Coot, Fulica atra) is a self-introduced species (did they really cross the Tasman Sea? — or maybe they hitched a ride on a ship), protected in New Zealand, their numbers on the rise (they arrived in the fifties). These pictures are from Western Springs, where there are a good number of them all year round. 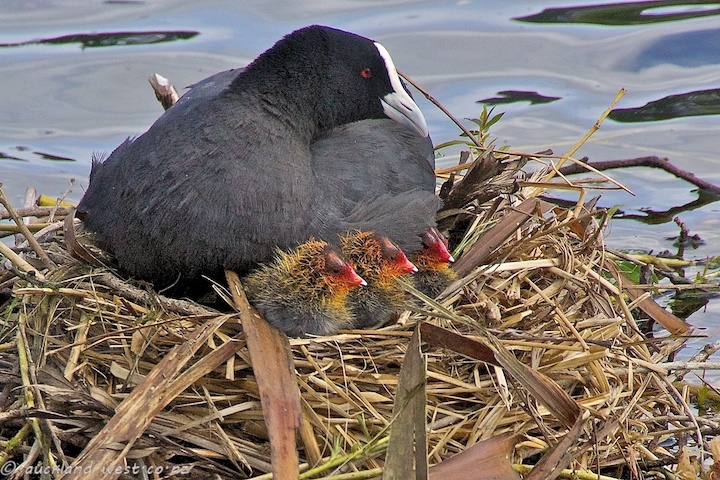 For several weeks after hatching, the chicks have this unreal coloration, which gradually becomes a drab grey, and eventually turns black with the white facial shield. It always fascinates me how some chicks can look so unlike their elders!